Is Nigeria Running Short Of The ‘National Cake’? 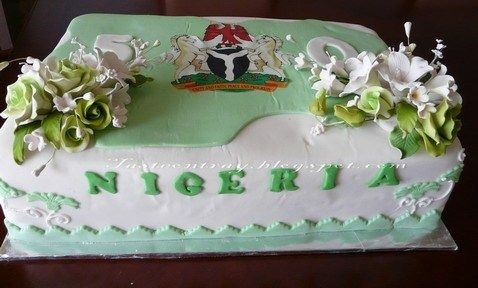 It appears Nigeria can no longer bake enough cake to go around the 36 states. On Tuesday, commissioners of finance from the 36 states and their Accountants General gathered in Abuja to share the national cake as they usually do monthly. But after considering the size of the cake, the party's host came to the conclusion that the cake was not enough to go around. That was how the cake sharing party could not hold and the guests all wore long faces. Now, the minister of finance, Kemi Adeosun is calling emergence meeting with the Group Managing Director of Nigeria National Petroleum Corporation, NNPC, Maikanti Baru over the small cake. It is believed that Baru is to blame for not providing enough ingredients to bake a cake big enough to go around. Adeosun, who is also the Chairman of the national cake sharing committee, said she had called for an emergency meeting next week with Baru and other top chefs at NNPC over the matter. Adeosun, in a statement by her Senior Adviser on Media and Publicity, Oluyinka Akintunde, however gave an assurance to Nigerians that the cake sharing party would hold on Wednesday at 9. a. m.
Other members of the baking committee from the Federal Inland Revenue Service, Nigerian Customs Service and Department of Petroleum Resources would also be at the emergency meeting. Why is no one considering that the size of the oven may have shrunk as well?